In central South Florida, the landscape is dominated by sugarcane fields. Refineries here produce hundreds of thousands of tons of sugar each year worth hundreds of millions of dollars. Smoke stacks at the main refinery plants emit chemicals, which is largely waste from the burning of cane stems and other woody residue that creates fuel that runs the facilities. 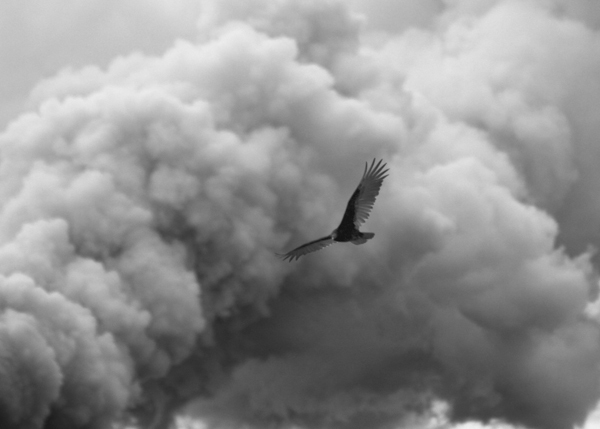 Many birds, including Vultures, hover near the site. 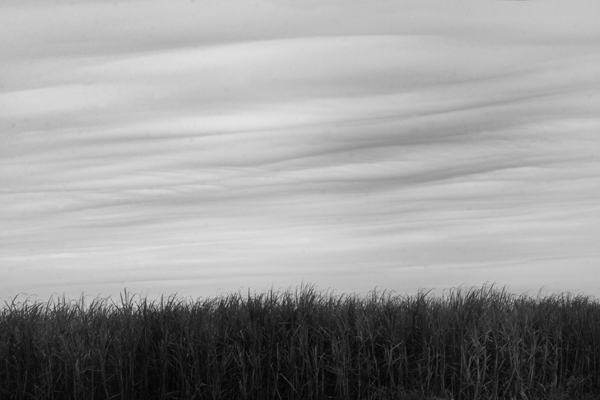 Prior to harvest, sugar cane covers much of the vast, flat landscape along U. S. Route 27 near Clewiston, Florida. Trucks can be seen barrelling down the highway carrying the harvested sugar cane to the plant for refining into crystal. Controlled burns in the fields are also a daily occurence and can be seen for miles, sending billowing clouds into the sky. The sight of the sugar cane fields is amazing and the first time people see those billowing clouds of smoke, they get worried. Local realize it is part of the process. Fantastic photos, even better than in black and white. That is true, thank you very much.